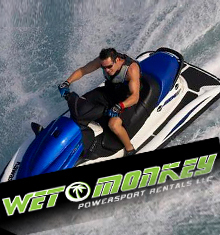 Wet Monkey Powersport Boat RentalsA $25 reservation fee will reserve any personal watercraft or boat. All reservation fee's of $25 are non refundable. If you cancel anytime up to 72 hours (3 days) prior to your reservation date, your money will be refunded. Cancellations within three days of your reservation will result in forfeiture of your entire reservation deposit. Holiday Weekends require a $500 reservation non refundable deposit (this will be applied towards rental). The balance of your rental payment is due in full on the day of departure. A damage deposit of $800 for watercraft rented. This must be provided for via credit card. Your deposit will be returned to you when the machine, boat or equipment is returned undamaged and filled with fuel. * Your MasterCard, Visa, American Express or Discover Card with the expiration date and name on card. Since a credit card is required to make a reservation, You may also call us toll-free at (877) WET-MNKY, or calling direct to (928) 855-2022. 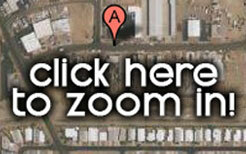 Come Rent Lake Havasu OHV, Boats, Sea-Doos,Wave Runners, Pontoons, Ski Boats and NOW we also rent Kayaks!